Seriously kids, I’m not that cool. 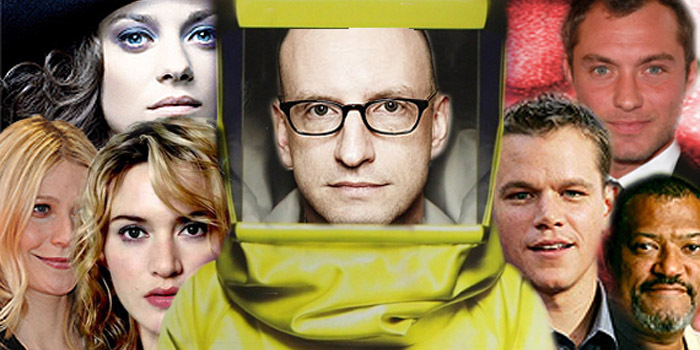 The roll call of stars lining up to work with Soderbergh make this look like a disaster blockbuster, but Contagion is a sober examination of how a global cataclysm might play out handled by a 21stC bureaucracy, with unexpected intrusions from internet-enabled left field tricksters. Extra kudos for killing off an academy award winner in the first 5 minutes. Yeah, but it felt like a heap of other OMG contagious-are-we-all-gonna-die? flicks that I’ve seen over the years. Left me wondering why they spent all that money and I wasn’t left with anything new/exciting/surprising. I thought 38 Days was more interesting. And definitely Shawn of the Dead, too. You probably mean 28 days later. How do you expect your comment to count if you can’t? Eh? Concur about the conspicuous deficit of zombies though. What were they thinking?